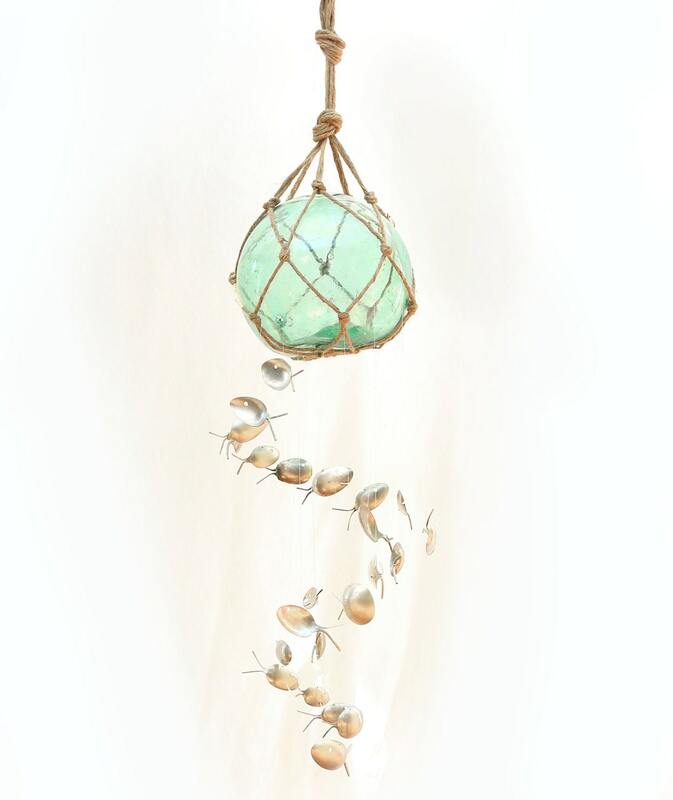 This listing is for ONE Glass Float Wind chime. It will be prepared to hang. ***PLEASE NOTE: No two floats are the same. They will have different netting and variations of blue to green in shade. IF YOU HAVE SPECIFICS, please "add a note to seller" and I will try to meet your needs. 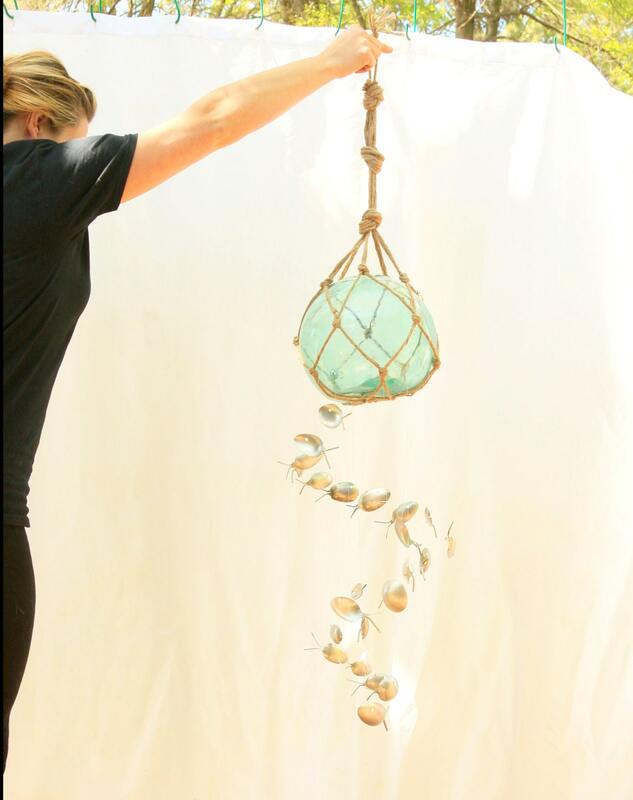 Sit back & relax as these wind chimes sing the songs of the past. 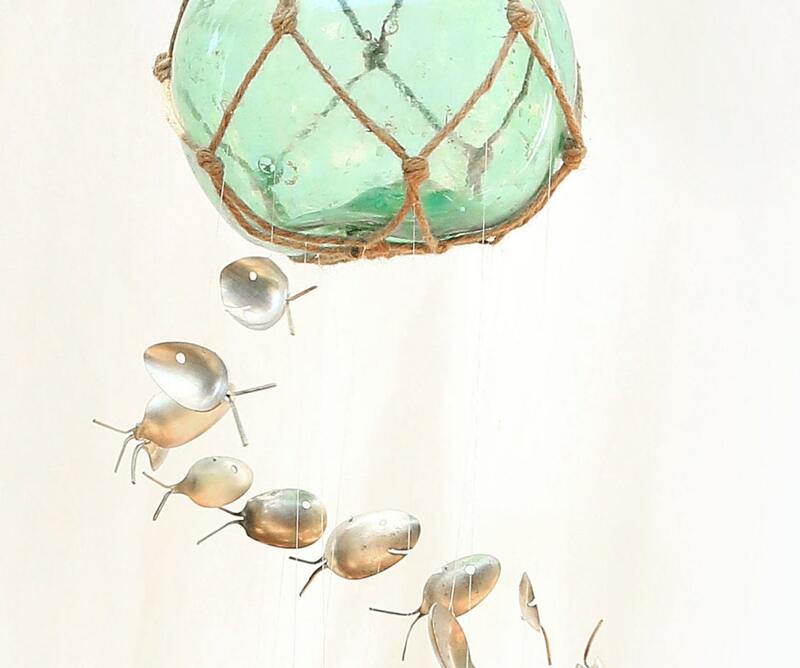 Each chime will have 23 delightful & whimsical antique silver plated spoon fish spiraling beneath a heavy handcrafted Vintage Glass Fishing Float. Traditional hemp rope netting secures these vibrant floats in place. 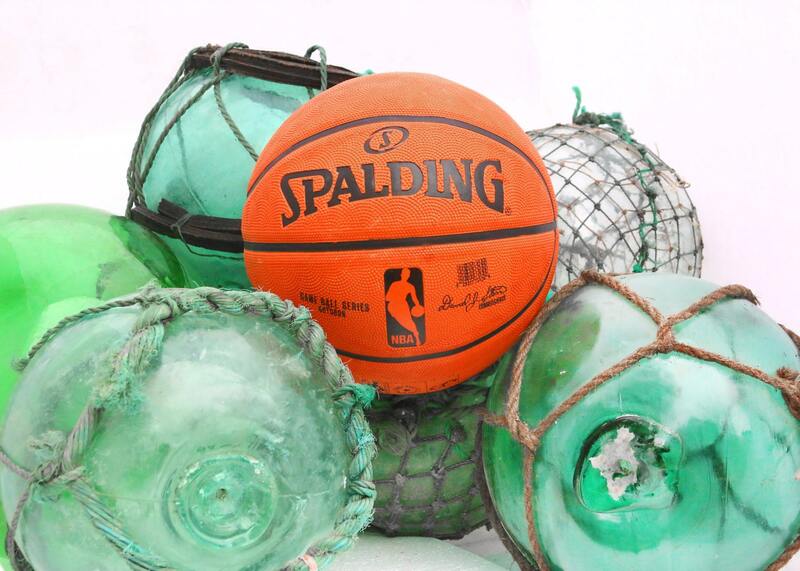 These floats are huge - I placed a few next to a basketball so you may truly see the size. Makes an excellent statement piece. 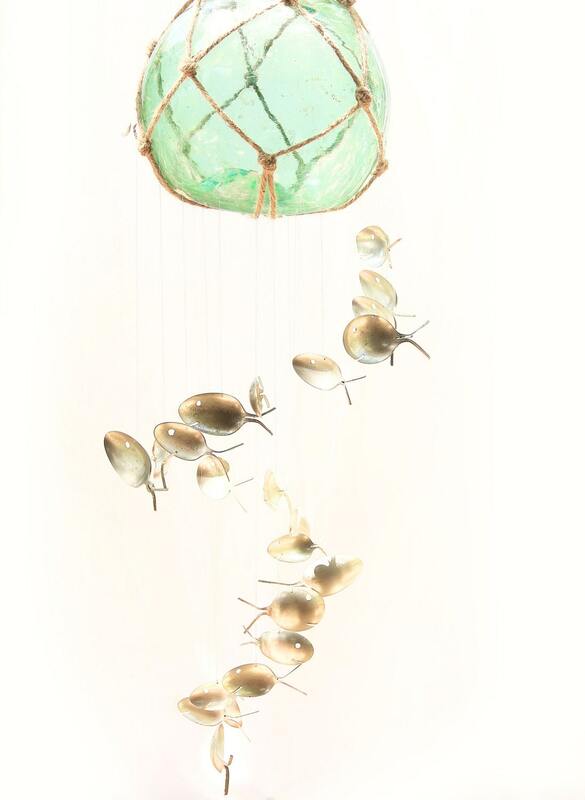 While each wind chime is unique, they are just as delightful as the ones pictured above. Spoon fish are up cycled from antique silver plated silverware.